Upon “re-charging” at the start of a new week, is it helpful to reflect back on the long weekend to see what foods we’ve eaten and how different those foods are from the “work week” foods we try to eat? Perhaps there was an extra order of onion rings or a plate of Parmesan french fries or something along those lines. For some reason, we seem to get into a different mindset during the work week as opposed to the weekend, right? How many of us look forward to happy hour on Friday when we get to unwind after a long week? I know I do. But, can you indulge a little without getting carried away and throwing caution to the wind all together? Absolutely. Another thing that most of us do is go to restaurants — whether it is a social occasion, a work-related meeting or just a quick bite to eat before heading to the movies — it’s a social event. 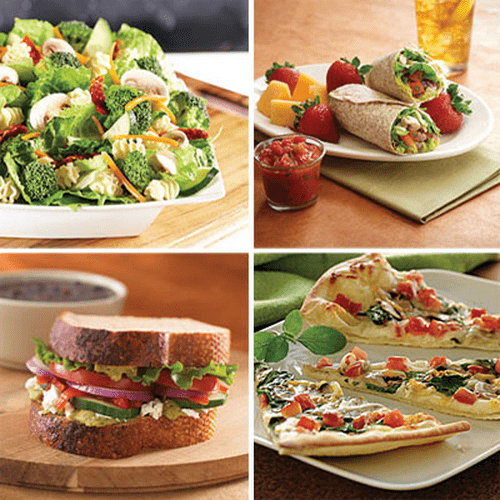 But, here are 6 secrets to eating healthier at restaurants that you may not know about. 1) Sight Line:Apparently, menus are usually read in a “Z-pattern”, meaning that the items that fit in that configuration are ones that the restaurants highlight because that is what they believe the customer wants. So, placement of burgers usually is seen more prominently than a salad for instance. “Healthier fare will almost always be unboxed, unhighlighted and uncolored and tends to be in the middle right-hand side of the menu,” says Wansink. (Brian Wansink, PhD, director of the Cornell University Food and Brand Lab and author of the new book Slim By Design). 2) Words have calories:With the analysis of thousands of menu descriptions and calorie counts in those dishes, this marketing team found that food items with the label “crispy” have on average more calories than an item labeled as “marinated”, which had fewer calories. 3) What does your gut tell you?If you are indecisive about choosing between a more calorie-heavy entree and a salad for instance, think about what someone you admire as a “healthy person” would eat. Would you eat differently if you were eating with your best friend as opposed to a business associate or your sister? 4) Is temptation too great?Ask the waiter. What a great idea! If you are tempted to dive into the bacon cheeseburger with fries choice and you know you’d be regretting it after – don’t do it! Ask the waiter what two or three of the chef’s favorite healthier choices would be. It can be tricky to simply bypass the healthy item choice because it doesn’t sound like it would be satisfying enough, but perhaps there is the lean pork chop or roasted chicken item that would hit the spot without leaving you wanting for more food. 5) Beat the bread bowl:If you are so hungry that you need to eat a slice or two of bread before the meal, choose a little butter instead of dipping liberally into the olive oil. Regardless of whether or not olive oil is good for you (and it is), one normally doesn’t measure the amount of oil on their bread. 6) Ask and you may receive: Instead of ordering fried food, ask that it be broiled — like fish for instance. The consumer does have choice after all. Bon Appetit!